If your child is a sleepwalker, it will keep you on your toes at night … that’s for sure. But unlike other sleep issues which can result in kids also having problems during the day, new research reveals that sleepwalking only affects kids at night – and thank goodness for that! Everyone knows that sleep is critical for children’s development and wellbeing. That said, very little was known about the effects sleepwalking has on kids – until now. The first study of its kind in Australia, researchers from the University of South Australia assessed 1,814 children aged between five and ten years and found that 10.5 percent of parents who participated reported their child sleepwalking the previous week, with the majority saying they did it once that week. 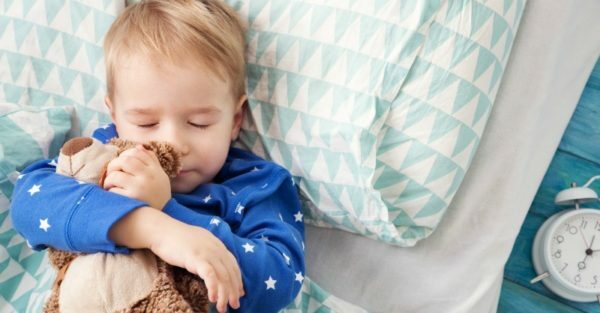 Lead researcher, Dr Helen Stallman says that although sleepwalking is quite common in kids, the impact of it is a frequent concern for parents. The study found that sleepwalking is often associated with a range of other sleep problems such as trouble with bedtime routines; anxiety at bedtime; sleep terrors; sleep talking; restless sleep; grinding teeth and sleep apnoea. However, the act was not actually to blame for any emotional or behavioural issues. She also adds that parents should ensure a safe sleeping environment if their child sleepwalks, and to see a sleep specialist if they’re at all concerned about their child’s sleep. Don’t wake them – This can frighten children so just gently guide them back to bed if you see them up and about. No bunk beds – Stick to a single level bed only, no top bunks where she might fall from when on the move. Clear a path – Before you tuck her in, make sure there aren’t toys or other obstacles on the floor which she could trip on or cut herself on. Put a gate on stairs – If you have multi-levels, pop a safety gate on the top of any stairs that she can access from their bedroom to prevent falls. Lock doors and windows – To contain your child within the house be sure to lock all your doors and windows leading to outside so she doesn’t disappear down the road or have a fall. Shut them in – If you’re really worried, or she has hurt herself a lot, you could consider closing her bedroom door and installing a handle that’s too high to reach. Just be sure that this doesn’t cause other issues such as anxiety. Does your child sleepwalk? What tips do you have for preventing injuries? Tell us on Facebook!